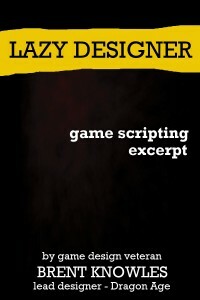 I’ve made an excerpt from my second Lazy Designer game design book free for the next few days. 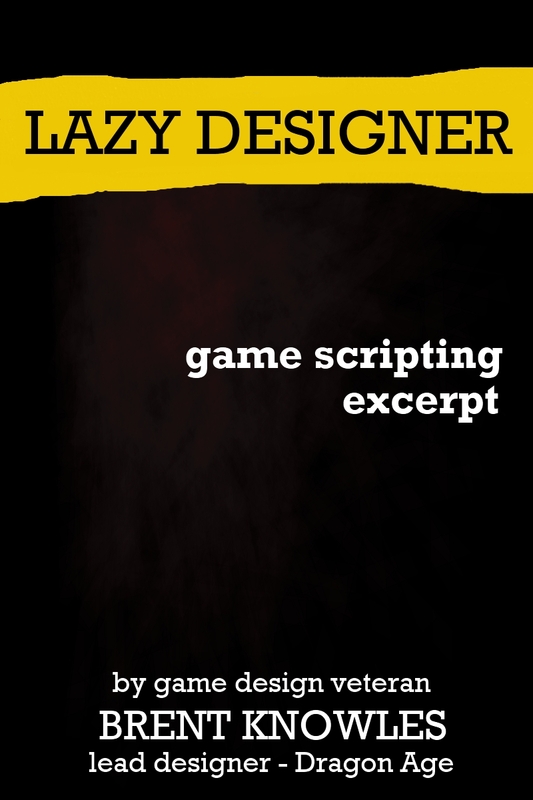 This excerpt is about *scripting* and not stripping (there’s been past confusion and disappointment and for the record I’d just like to point out that I know a lot more about scripting than I do stripping). Anyways if you read it and like it, please consider leaving a review on Amazon! p.s. Please remember you don’t need a Kindle to read this! There’s software available to read on your computer/smartphone and so on.